This week Andrew McPhillips describes the close shave he had with his partner Jane Boyd and an 18-month-old child while trying to cross the road. 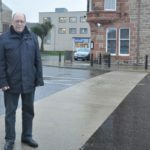 Campbeltown Community Council: ‘Suggested crossing places: It has come to our attention that an online petition has been created to put in place safety measures at these crossing places. ‘The community council has been campaigning for safety measures for some time. 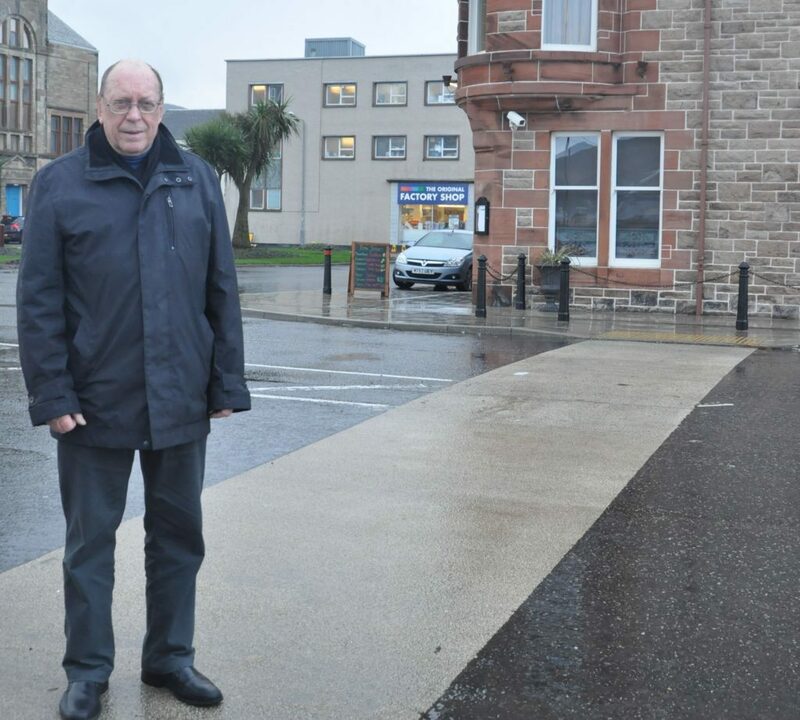 ‘Alan Baker, chairman of Campbeltown Community Council, Councillor Donald Kelly and Andy Hemmings of Kintyre Crime Prevention met with a representative of Transport Scotland to discuss the ‘suggested crossing places’ at the Co-operative and the Royal Hotel, which the members of the community council consider to be unsafe. ‘They were told there have been no accidents or near misses reported to Transport Scotland, Police Scotland or any of our councillors. 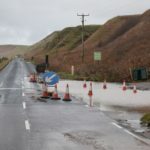 ‘However Transport Scotland did suggest removing these road markings and putting in place a proper crossing near the Aqualibrium. ‘If you or anyone you know has been involved in a near miss, please report it to the police. Isabel Melville: ‘Transport Scotland has it wrong. The Aqualibrium is not where most people want to cross. ‘People going to and from the Co-op and Tesco want to cross at the junction between them. 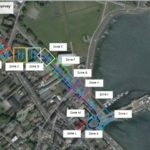 ‘Likewise, people going to the harbour from the town centre want to cross at the Royal Hotel. ‘As it is, as a driver I was unaware the town had any crossings, apart from the pelican crossing in the Main Street. None are marked for drivers. ‘Is there any point in having them if drivers do not know they are there? Mark Sutherland: ‘I have on several occasions crossed the road near the Co-op, and due to the speed of some inconsiderate drivers have had narrow misses. As for reporting to the police, this is ridiculous as the police would not really be interested as they have enough to do. ‘It is obvious if you stand there long enough that several people try to cross and give up or take a chance. ‘A crossing is required, especially for the elderly and infirm, as they can not make it across as quickly.